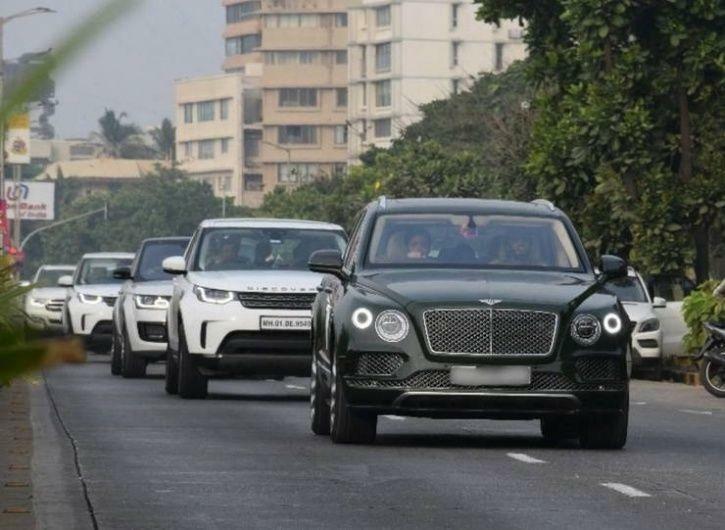 YOUR DREAM: Ambani kids and their convoy seen driving cars worth ₹17 crore in Mumbai!!! Reliance Industries chairman Mukesh Ambani is India’s richest man. He is also Asia’s richest person. With a total net worth of $45.3 billion, Ambani is the world’s 14th richest person today. It may be noted that Ambani has added as much as $3.1 billion which is nearly ₹21,754 crore to his wealth in just 2018. Now! It will be no secret that the oil-to-telecom behemoth is sure to own some of the best and rarest cars in the world, which most of us reading this, can only long to possess. 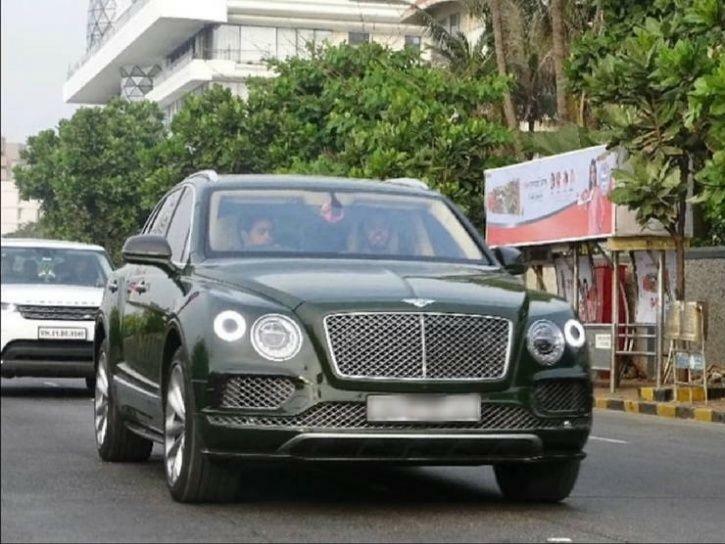 In an online video below, Ambani scions, Akash and Anant are seen driving their new Bentley Bentayga, costing ₹4 crore approximately. What is astonishing is that they are also followed by an entourage of vehicles, ranging from Land Rovers and Range Rovers to Ford Endeavours. Lets calculate the cost of the cars separately that have been seen following the junior Ambanis! Further the amounts quoted are merely ex-showroom costs and the actual price on-road will be much much higher. We can conclude that even the security personnel of the Ambanis have the luxury of driving around in some of the top-notch cars. The various Land Rovers seen following the Bentleys are all in white and carry a police marking. Ambani’s other collections include Mercedes Maybach, Aston Martin Rapide, Rolls Royce Phantom and of course now the Bentley Bentayga. The Bentley Bentayga is one of the fastest production SUVs currently and each costs ₹4 crore. The Ambani’s own two of these! Reportedly the family recently bought the flagship SUV from the Rolls Royce lineup, the Cullinan as a new way of ultra-luxurious travel. This car, costing approximately ₹8 crore, could be one of the most expensive in the series of automobiles owned by the family. Their residence Antilia in Mumbai is worth over $400 million (₹2800 crore) and it is the world’s largest residence building after Buckingham Palace. There was a certain online speculation in 2014 that Akash Ambani, Mukesh’s older son was allegedly involved in a car smash-up in Mumbai while driving his Aston Martin. Read full story here.